Use a Magma grill tray and never again worry about your flaky fish, vegetables, or smaller items falling through the grilling surface. This 13-3/4" diameter professional quality grilling accessory is made entirely of 18-9 Marine Grade Stainless Steel with a DuPont Teflon Select Non-Stick coating giving you worry free cooking and easy clean up. The removable insulated handle simplifies grilling, serving and storage. The tray also has the option of being used as an oven pizza tray, oven cooking sheet, or use it with a Magma Stainless Steel Wok as a steamer tray. The additional benefits ofbeing oven safe and dishwasher friendly make it a must have for any boat, RV, tailgate party or home kitchen. For use on grills: Always use with grill lid open on medium temperature only. 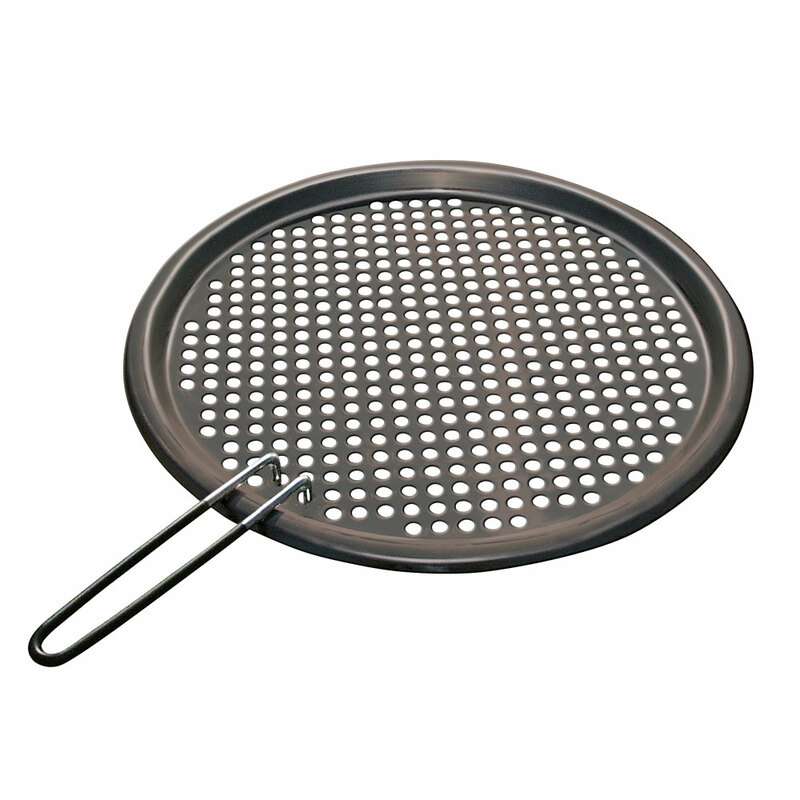 Heat in excess of 550 degrees f. can be harmful to the non-stick coating.